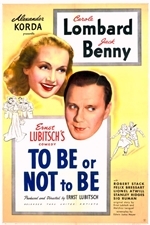 To Be or Not to Be is a 1942 American comedy directed by Ernst Lubitsch, about a troupe of actors in Nazi-occupied Warsaw who use their abilities at disguise and acting to fool the occupying troops. It was adapted by Lubitsch (uncredited) and Edwin Justus Mayer from the story by Melchior Lengyel. The film stars Carole Lombard, Jack Benny, Robert Stack, Felix Bressart, Lionel Atwill, Stanley Ridges and Sig Ruman. The film was released two months after actress Carole Lombard was killed in an airplane crash. The title is a reference to the famous "To be, or not to be" soliloquy in William Shakespeare's Hamlet. 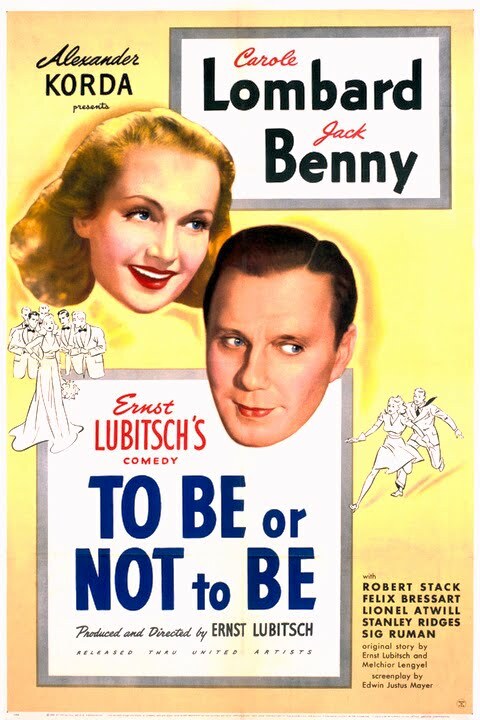 To Be or Not To Be, now regarded as one of the best films of Lubitsch's, Benny's and Lombard's careers, was initially not well received by the public, many of whom could not understand the notion of making fun out of such a real threat as the Nazis. According to Jack Benny's memoirs, his own father walked out of the theater early in the film, disgusted that his son was in a Nazi uniform, and vowed not to set foot in the theater again. Benny convinced him otherwise and his father ended up loving the film, and saw it forty-six times. In 1996 it was selected for preservation in the United States National Film Registry by the Library of Congress as being "culturally, historically, or aesthetically significant."